Enter TEXTS to be printed on the product. For Birthday: Name and age. 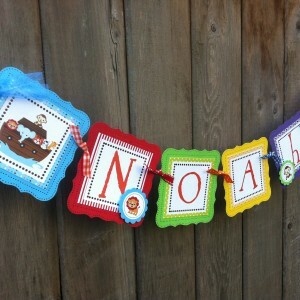 For Baby Shower: Baby’s Name. If no personalization required, please write NONE. 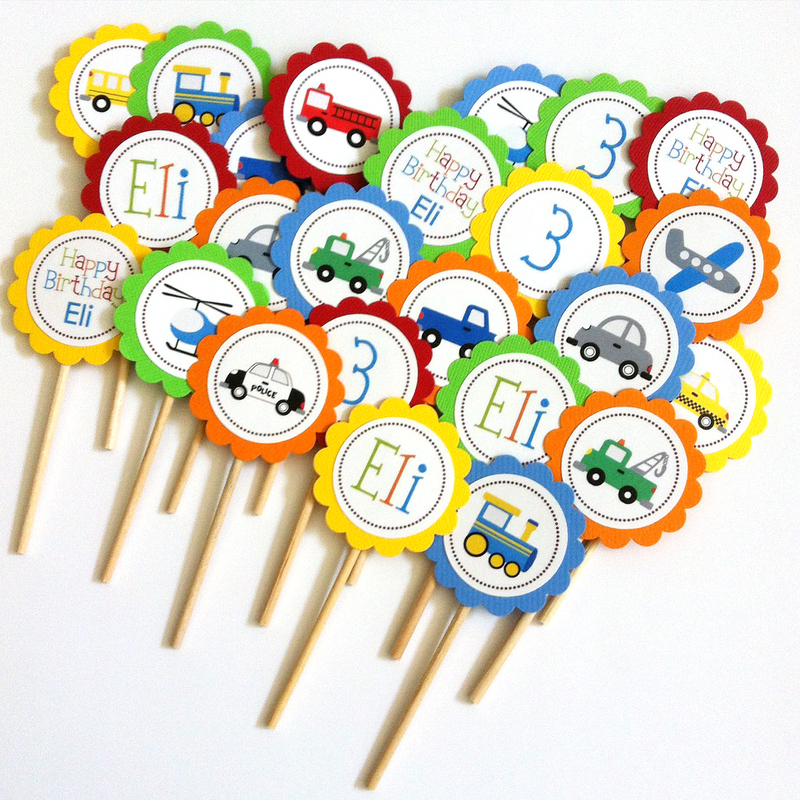 Cute and fun Transportation Cupcake Toppers, personalized for your party! 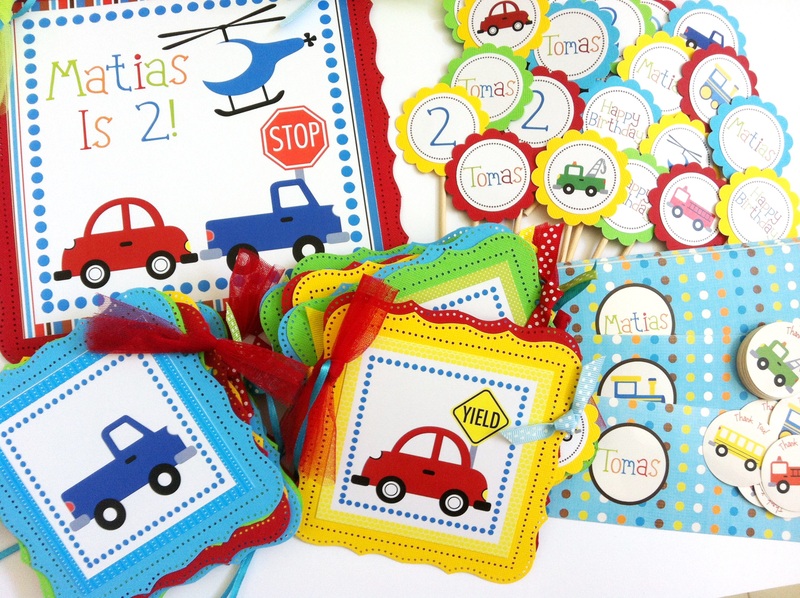 For those boys and girls who love cars, trucks, trains, helicopters, and planes! 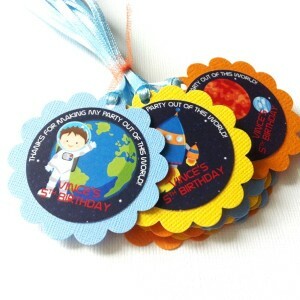 Here you find Transportation themed Cupcake Toppers to style your sweet cupcakes! You will receive a set of 12 (twelve) Personalized Transportation Cupcake Toppers that comes with a mix of different Vehicle related designs. 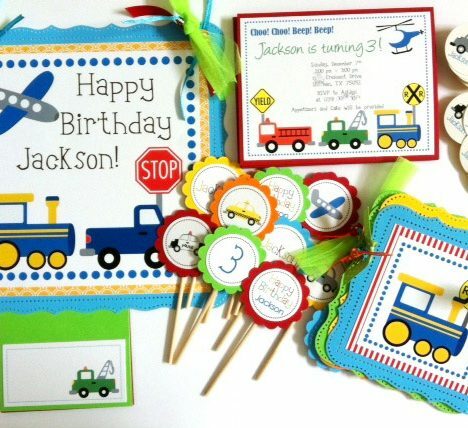 Also shown are party decorations in Transportation theme that can be purchased separately and NOT included in this listing. 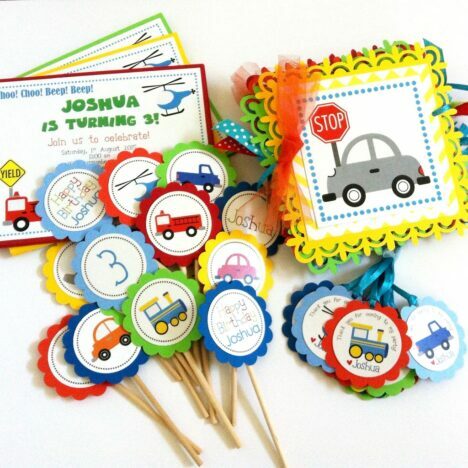 For birthday party, you will receive different vehicle images, “Happy Birthday”, as well as personalized “Name” and “Age” toppers. 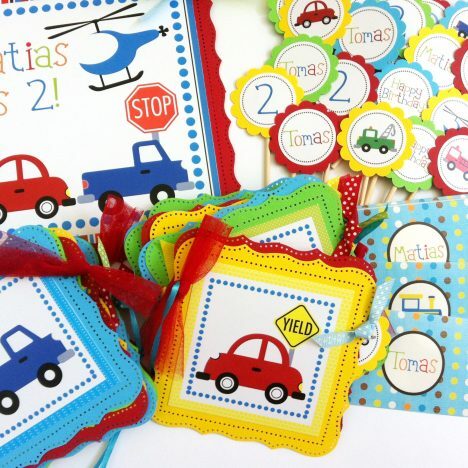 For baby shower party, you will receive vehicle images, “Baby Shower”, “It’s a Boy” and the Baby’s Name toppers should you provide us with one. Pictures shown some colors that we can do. 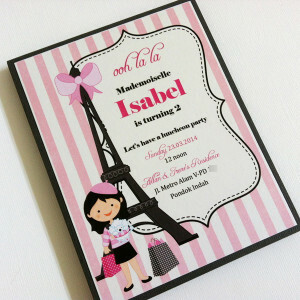 We did those to match our clients’ color schemes and we can to that for you as well. Please inquire as we have more colors than shown. 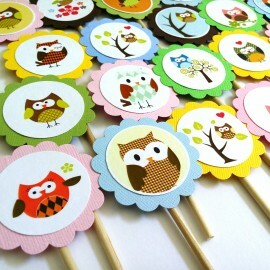 If you don’t request a certain color(s), we will choose them for you. Pictures are samples only. You may get other colors than shown depending on availability. If you are planning a party for a boy, a Transportation or On the GO themed party that is, and you want to serve cupcakes (either homemade or store-bought), then this set of cute Transportation cupcake toppers will be a perfect way to adore your cakes. 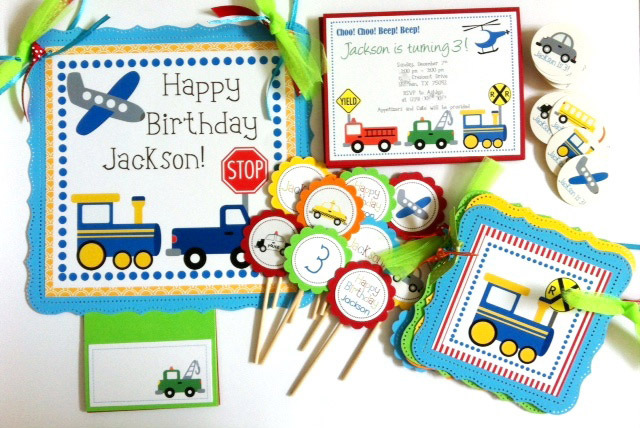 More coordinating Peter Rabbit Decorations for boys and girls can be found at Transportation party decorations album on my Facebook Page.